Taking it up a notch is easy with the Danube Pub Dining Table in your choice of fine American hardwood. 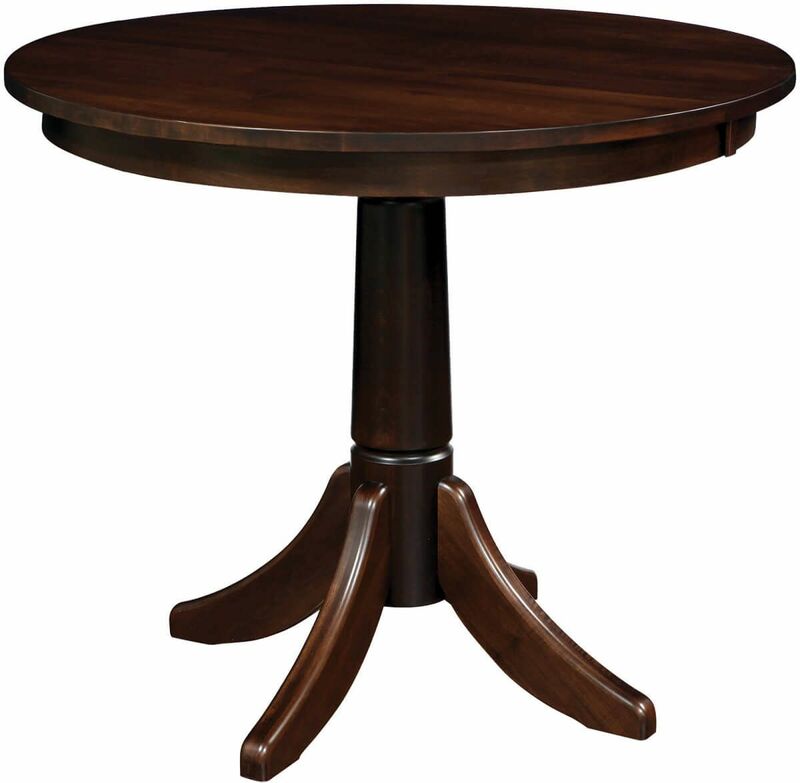 Our custom round table adds to any room. There are four sizes from which to choose in your Danube Pub Table. Standing 36 or 42 inches from the floor, one solid inch of that is your stunning, solid hardwood table top. Utilizing geared slides, the Danube offers optional expansion leaves in some sizes. Each leaf is made as part of a solid bar table top before cutting to ensure grain consistency across the eating surface. Pegs in the leaves are also solid wood and fit snugly for a smooth presentation. Your pedestal base offers four levelers, one installed in each foot, to further steady your Danube Pub Table. In short, our Amish craftsmen hand select pieces of your preferred hardwood, cut the shape, sand the surface, stain the exterior, and seal the piece with a catalyzed conversion varnish. If you like the pictured look, order in Brown Maple with a Venezuelan Chocolate finish. 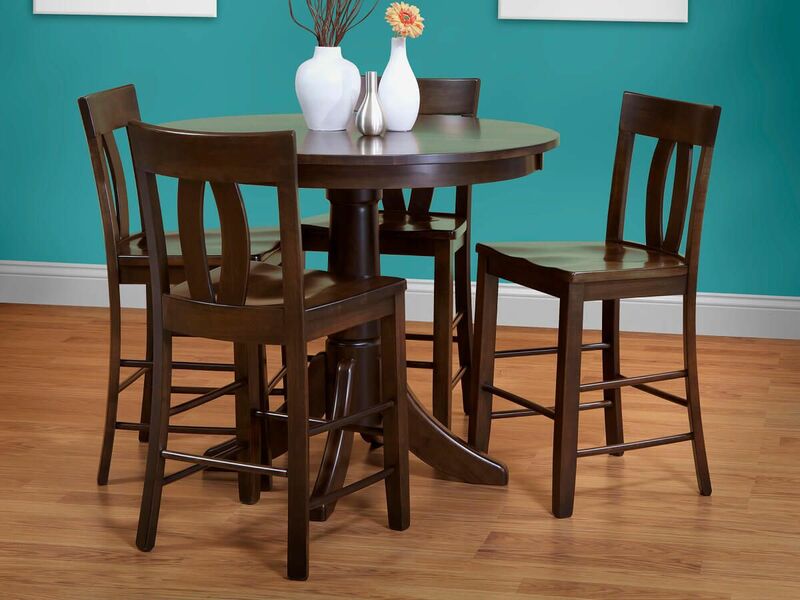 Your Danube Pub Dining Table is built to last to your specifications. Hand one down in your family.